Another day, another tweak. TwitterExperiments lets you use hidden features on the Twitter app for iOS. 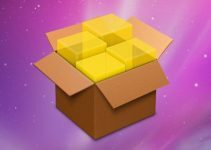 Here’s how you can download and install it on your iPhone and iPad. As you already know, social networks evolve really quickly and are always planning to roll out new enhancements and features. Very often, developers include new experimental features in the app binary, which are aimed at only a select demographic and remain hidden from the vast majority of users. That is where this new tweak comes in. TwitterExperiments Cydia tweak unlocks experimental and hidden features for the Twitter iOS app. It is developed by Auxilium Development Team member Chloe. TwitterExperiments comes with a comprehensive preferences section. Here’s how you can set it up. Kill Twitter – Kills the Twitter app. 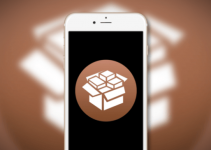 Respring – Restarts Springboard after you enable the various options. Docked Tweet Button (on) – Adds a docked tweet button to the bottom bar. Floating Tweet Button (off) – Adds a floating tweet button to the bottom bar. Floating Movable Tweet Button (off) – Adds a movable floating tweet button to the bottom bar. Nested Tweet Button (on) – Adds a tweet button to nested tweets. 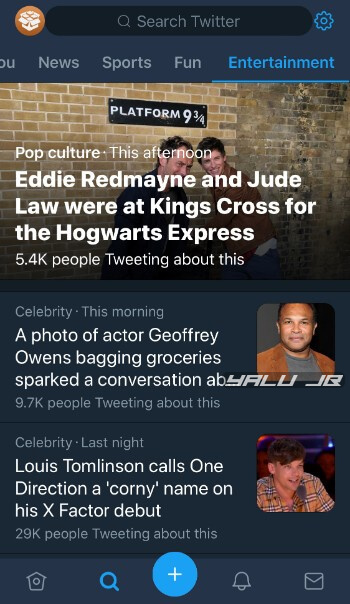 New Trending Tabs (on) – Adds new trending tabs. New Action UI (on) – Enables new action user interface. DataSaver (on) – Enables the data saver option, thus allowing you to save that precious cellular data. Original Tweet Button (off) – Enables the original tweet button. People Tweeted This (on) – Enables the “People Tweeted This” setting. Haptic feedback (on) – Enables haptic feedback to the buttons in the bottom bar. If you use the aforementioned setup, your Twitter app will look something like this. As is evident, the user interface and the overall look and feel of the app remain largely the same. But, you will be able to get your hands on plenty of QOL improvements before your non-jailbroken counterparts. There are quite a few “unlock” tweaks available for Snapchat, YouTube, and even Instagram. 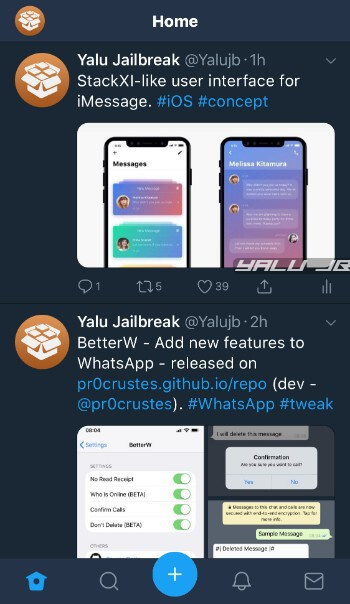 However, no developer ever created anything similar for Twitter, which is the go-to social network for all jailbreak enthusiasts. 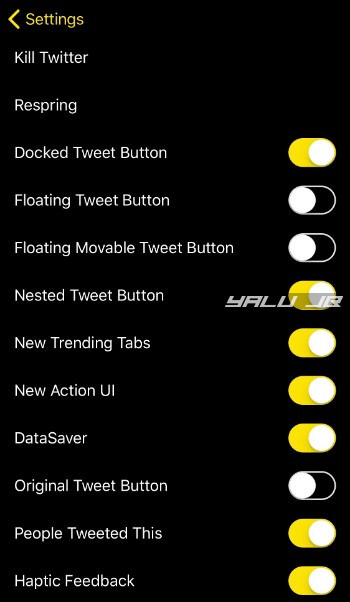 So if you are a heavy Twitter user or just want to take your Twitter experience to the next level, give this tweak a try. Highly recommended. TwitterExperiments is available for download on Packix repo for free. It is compatible with iOS 10-11.4.